See the World time clock to attend from your location. Up to 1,000 may attend any session. Just provide a date and time . . . we will do the rest! ie: EMail invitations to all who you would like to invite. A recording can be made for those who could not make it. If we do a live presentation we can also simultaneously broadcast it on the Internet for those who can not attend the seminar in person. Our Daily Webinar Workshops are here. 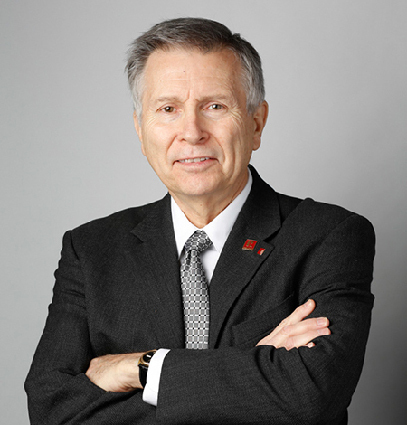 Gary Nusca, CCIM, AMP has been a broker and in real estate since 1972. If you said to him today, "Gary, please study the Internet for fifteen years and show me in one 120 minute session the main tools that can help me make money on the Internet to do business", that is exactly what we present this Webinar. Who? Open for all licensed real estate brokers and salespeople . . . world wide. Available for real estate offices. Where? Individually from the comfort of your own home or business office on your computer using your computer speakers (headset recommended) or listen in using your telephone. When? See schedule and instructions below. Dates announced regularly. What is it? It is an educational online seminar similar to the seminars we conduct in real estate offices. See Understanding and How To Use the Powers of the Internet. Why? We provide this educational seminar free to teach how the Internet really works when you know the tools and how to make them work. This seminar is provided free in return for us doing about an eight minute commercial on the services of ICIWorld. We offer a special to join ICIWorld right after the seminar but there is absolutely no obligation to join. We find 50% to 100% of attendees who attend our live seminars end up joining our service after really understanding what is going on out here on the Internet. Executive Members of ICIWorld are provided daily webinars included in their membership. Daily Workshops, a Monthly Information Tuneup, How To Promote Your Web Site including SEO (Search Engine Optimization) and more. We will also be having guest speakers and other webinars such as professional selling skills, commission agreements, and more for the fall and winter sessions. If you have a product or service of interest let us know with a view towards working it into a Webinar. Please feel free to read positive comments from virtually all seminars. If for any reason you can not make the 2 hour Webinar you can see the seminar in the form of a Windows Media Video ICIWorld Real Estate Internet Movie (3 hr). It is a movie of our presentation to 120 real estate salespeople at a real estate association education technology day conference where they received education credits. Have a pad of paper and pencil to take notes, cup of tea to relax, and put your thinking cap on. Here are two webinars each one provided for a real estate office. 2 hours each. An Executive Membership empowers you to take advantage of the Internet to serve your customers and clients in what we call "the Ultimate in Marketing on the Internet." Does all of this stuff work? See the feedback from members. You can't feel the emotion from reading this of how excited members get to include these tools in their career in real estate, but it is real and all of this is sincere dedication to have the Internet benefit you. You will find many absolutely unique real estate tools, applications, and concepts among the services. Assistance and set up is pretty well only needed in the beginning with a review recommended once per year to help members employ new developments. Please do not hesitate to contact us anytime to chat, suggest enhancements or to get started. ICIWorld.net, Inc. since 1994 has been helping licensed real estate salespeople to serve the public. It has developed Internet advertising and networking tools and education, has a major commercial real estate component, and has a major residential real estate component. This empowers individual salespeople for their own lead generation capabilities using the various ICIWorld tools and databases of ads. With the help, input, suggestions and support of members, membership is about 1,000 real estate sales person members in over 400 companies world wide and growing resulting in among the most transactions reported on the Internet. See testimonials. There are over 1.8 billion people now using the Internet. This is all cutting edge technology and the best is yet to come! It is simply one tool to help you be successful in your real estate business. Understanding and How To Use the Powers of the Internet. Invitation for all licensed real estate salespeople in the world. Call us to set up a Webinar for your real estate office, no matter where in the world you are located. webinar files can be recorded for placement in www.youtube.com and other services. These are all cutting edge services available for you and our industry. Request a date and time for your office, sales team, group, etc. EMail. From 1 to 1,000 may attend. Times are Eastern Time (New York, Toronto, Miami) See the World time clock to be at your computer at the appropriate time for your location. See the World time clock ICIWorld.net, Inc offices open 9-5pm Eastern Time. Special arrangements can be made on request, no obligation, to accommodate your group in your country. Services are customized to generate leads and work for every sales person in every country of the world.